Having worked in the non-profit sector, I know how hard it can be to be heard above all the noise of competing organizations. Non-profits and charities are worthy causes and need continued support from caring individuals, volunteers and donors. I am happy to be able to help Brian Sooy with the launch of his book; Raise Your Voice: A Cause Manifesto. Brian is great at communicating with clarity and teaching others to do the same. The following is a guest post from Brian. What if we change a few words? As a nonprofit leader, how much time do you and your team devote to asking for donations (i.e., fundraising), as opposed to teaching donors how to give? Over time, your organization will have accumulated many examples of generous families and individuals who support your cause. Sharing those stories can be informational, inspirational, and educational to new and current supporters. Personal philanthropy is a lifestyle that can be nurtured through your marketing and relationship-building, and communicated through your organization’s culture. It’s important to ask why a donor gives, in order to help you understand their personal motivations. Make it a habit to ask: “Why do you support our cause?” The answers will give you insight into the values that move your followers to give of their time and money. -Profile a long-time volunteer using videos and photos that communicate how they connect their values with their support for your cause. -Celebrate your volunteers with a special appreciation event. Share that story with your financial supporters. -Tell the story of an everyday giver. With so much emphasis on large gifts, it’s easy to choose and profile an individual or couple who have the means and desire to make significant gifts. Have you considered featuring stories of supporters who have donated modest amounts faithfully over the years? 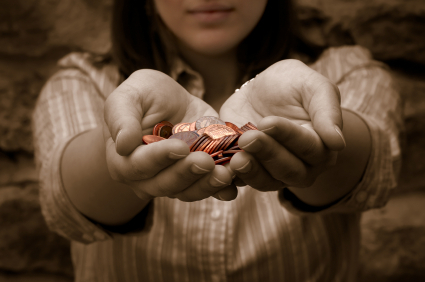 -Ask “why.” Aren’t you curious why a donor makes a commitment to give? Their answer to “why” will make a great story! Gather enough answers to “why,” and you’ll gain valuable insights into motivations. Understanding why your donors support your cause will reveal new, inspiring messages to work into your marketing and outreach to current and potential donors. What next? 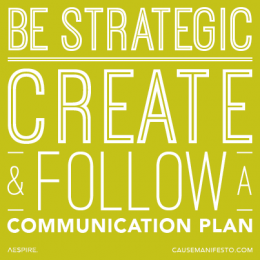 Commit to a communication plan that integrates the idea of “teaching how to give” for at least a year. Each of these tactics can be woven into your relationships, literature, web site, and social media touch points. You’ll have one more simple and effective tool for connecting your cause with your supporters, and communicating more effectively through mission-driven design. Brian Sooy is the founder and Design Director of Aespire, a design and marketing firm empowering mission-driven organizations to create purpose-driven communications through positioning, design, marketing, and web site development. Brian is author of Raise Your Voice: A Cause Manifesto, a book that explores a framework for understanding how purpose, character, culture, and voice empower organizations to communicate to the outcomes they are working to achieve.